Numismatists Steve and Alex were delighted to attend the Numismatic Association of South Australia's Coin & Banknote Expo! At the beginning of 1918, there was no end to the war in sight. But that was all to change. Yes, Downies will be at the upcoming ANDA show in Sydney! Got a question about coins or banknotes? Downies' Melbourne store can help! We take a look at some of the lesser-known facts about Australia’s home-grown car manufacturer. It is a coin with the highest of profiles, and yet the 1930 Penny is shrouded in mystery. These sponsors have made our fundraiser for the 2018 Kidney Kar Rally possible. Thank you. Go for Gold at Downies Coins' Melbourne Flagship Store! Downies’ Southgate Store has an impressive range of Australian and world gold coins in-store now! Come and see Downies Coins’ extensive range at our 2018 Coin Shows! 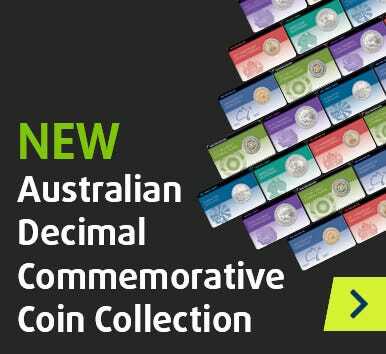 Downies Coins Melbourne will be attending a number of exciting Coin Shows around Australia in 2018. In the recent passing of Stuart Devlin, AO CMG, the world has lost a rare talent.